DC Marine undertakes Pre-purchase, Condition, and Insurance Surveys on yachts and power craft throughout Scotland tailored to meet the client’s exact requirements. Based in Argyll we are ideally placed to undertake surveys on yachts and motor vessels on the Clyde and West Coast of Scotland, travelling to marinas and boatyards as far Central Scotland and Highland regions if required. 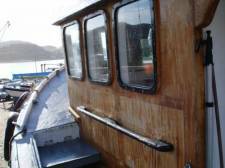 Surveys for boats using Loch Lomond and Inland Waterways are also provided. The surveys are comprehensive, written in simple English, and include digital photographs to aid clarity. We endeavour to send electronic versions of the survey report to clients within 24 hours of the survey being conducted, with a signed hard copy being mailed to the client after 48 hours. Advice on realistic market value in pre-purchase situations, and for insurance valuations is provided. The primary surveyor employs modern technology to ensure that the exact condition of the vessel being surveyed is identified, hiring in specialist instruments for the more complex survey. 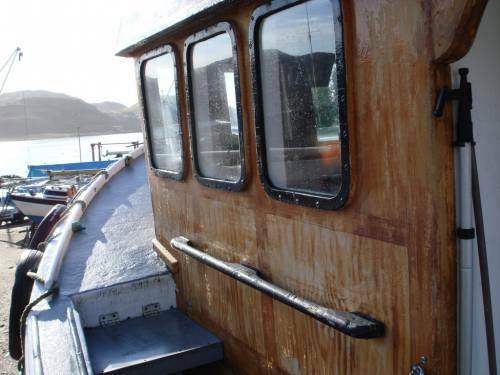 He has considerable practical experience of GRP, steel and wooden boats, and an extensive engineering background that enables realistic and effective repair options to be identified. Engine surveys can also be undertaken. DC Marine’s surveyor is a Chartered Marine Engineer through the Institute of Marine Engineering, Science and Technology (IMarEST), and a member of the International Institute of Marine Surveyors, meeting the strict codes of practice demanded in this profession. The company also carries full P&I insurance for its business activities. DC Marine’s rates are competitive and reflect the professional service provided.